I was talking with a friend of mine the other day. My friend is a USPSA Chief Range Officer, and over the course of her time as an RO and CRO, she has run literally thousands of shooters through various courses of fire. Pretty much every experienced range officer in the action shooting sports will say the same things—the minute you touch your firearm, we can see what sort of gun handling safety habits you practice. Or don’t practice, as sometimes is the case. 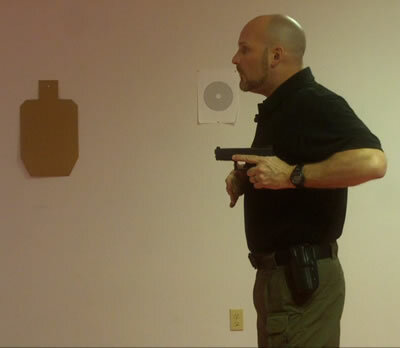 Hence, this video: the third in the series of Fundamental Gun Handling Skills, this time on SAFE GUN HANDLING. I originally made myself a couple of notes about the four main things I wanted people to work on for safe gun handling, got in front of the camera, took some video, went home and edited it–and realized the video was almost 20 minutes long. The more I talked, the more I remembered safety issues and EXCUSES I’ve heard over time from people attempting to justify their unsafe actions. 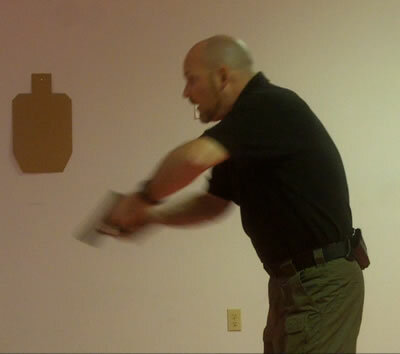 I don’t know about you, but I consider self-defense training “real” when it also teaches me to NOT SHOOT MYSELF. So I went back to the studio and tried to just pick the main things, the most important things, the things that will hopefully make the MOST difference in terms of safety. And I managed to get the video down to 10 minutes. It still is pretty long for a YouTube video with some guy just standing there talking at you, so I’m pretty sure most of the people who really need to watch it (and take it to heart) probably won’t do so. But I tried. So here it is. It isn’t everything you should do, there are plenty of other things I could have said, plenty of other habits of good practice I could have included—but I tried. 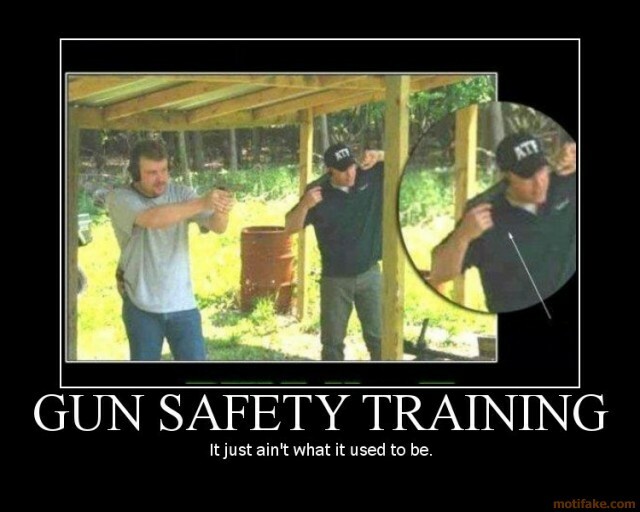 Make safe gun handling something you do automatically, all the time, without fail. Make it such a habit that if you do something UNsafe, it will feel strange and wrong, and you won’t like doing it. That way, under stress when your brain isn’t working right—you WON’T do it wrong. There is so much more we could say. But if nothing else, if people would just keep control of the gun with their strong hand, keep their finger pinned to the frame/slide when not actively shooting, and control their muzzle, that would be GREAT. One of the things I tend to see quite often from people who “already know how to shoot” is a poor grip. Whether that grip was “learned” from movies, TV, a family member, “this really good shooter I know” or whatever I have no idea, but often it is simply a bad grip. Having a good grip is very important in terms of shooting well. Sure, it is possible to be both accurate and fast with a poor grip. However, it is highly UNLIKELY, and chances are you simply can’t do it. And more importantly, you won’t be accurate when it is incredibly important such as when you are using a firearm to save your life. 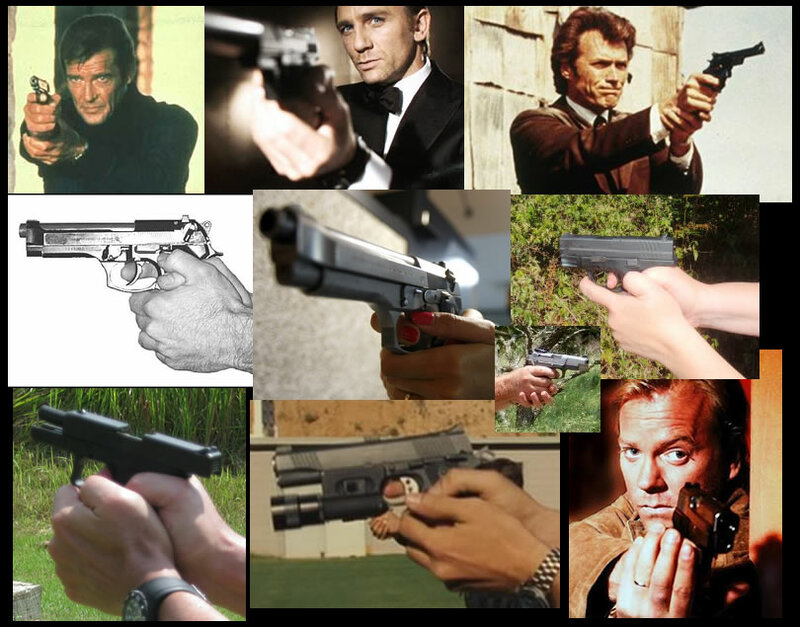 Outside of those variations, there are unfortunately a number of other grip types that are simply very WRONG–so if you are using a teacup grip, a wrist support grip, a grip (on a semi-auto) where your weak-side thumb is wrapped around the back of the gun, or a thumbs-locked-down grip, then I’m afraid that yes, you are doing it wrong. The good side is that you will be able to increase your shooting ability significantly merely by fixing your grip. I meant to only have this video be a couple of minutes long, but the more I explained the details, I more I kept remembering all the questions, complaints, and “explanations” I’ve heard for other grips over the years, and I wanted to make sure I addressed at least some of those. Having me just say “do this because I say so!” isn’t really convincing. So, I wanted to talk about WHY a proper grip makes a difference, and why improper grips cause issues. As such, the video ended up rather longer than I originally meant….hopefully it keeps your attention well enough to be useful. We’ve decided to start a series of short Fundamental Gun Handling videos on YouTube, with the idea of pointing out some of the most-common errors we see (and their fixes!) with respect to the fundamentals of gun-handling. As is probably obvious, I shot this really quickly when I had a free 30 minutes before teaching a class, my voice isn’t working properly, and obviously I had no script and was doing it off the top of my head. [sigh] Hopefully, it still makes sense–and most importantly, I hope that the FIX for bowling and fishing draws is clear. 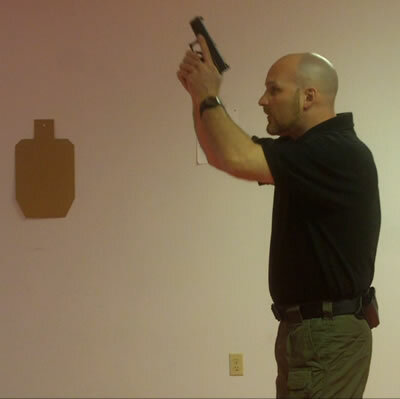 It really is simple—snap your wrist up to point the gun at the target immediately after the gun leaves the holster. That’s it. So quit doing bowling draws or fishing draws! Get that gun pointed at the target right out of the holster! More videos to come, with hopefully good content on fixing fundamental gun-handling skills.